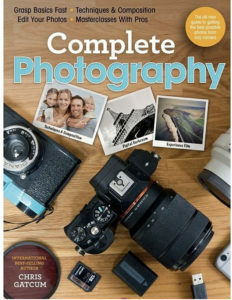 Home » Commentary » Digital Photography– Where Next? You only have to look at what’s happened to photography in the 21st Century to see how rapidly the technology that underpins it is moving: in the year 2000, full-frame cameras were a mere suggestion; a digital SLR costing less than $1,000 was a dream; and CSCs [Compact System Cameras], sophisticated camera phones, and high-resolution digital video were simply unimaginable. Yet today all of these things—and more—are commonplace, while long-established, pioneering brands such as Kodak, Minolta, and Polaroid have become little more than footnotes in history. 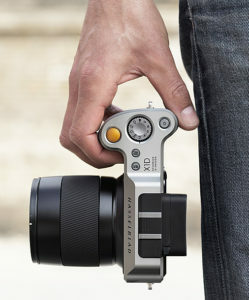 The Hasselblad X1D mirrorless medium format camera. So what will come next? Well, it’s impossible to know for sure, but that’s what’s so exciting! In the immediate future, it’s almost certain that mirrorless cameras will stride further into DSLR territory, and possible that we will see “traditional” SLR designs become a thing of the past. You could argue it’s already happening, with Sony turning its back on its SLRs, Hasselbad giving us mirrorless medium format, and other key manufacturers seemingly running low on inspiration as new DSLR releases reveal an ever dwindling list of revolutionary new features. At the opposite end of the scale, smartphones have already eroded compact camera sales, and it’s unlikely the low-end point-and-shoot market will exist for many more years: high-end compacts, yes, they’ll likely cling on, but the writing’s already on the wall in big bold letters for the automated compact brigade. Now in production, the Light L16 uses multiple lenses for super-high resolution images that can be tweaked after capture to alter depth-of-field, focus and more. It’s not all doom-and-gloom, though, as there are some pretty interesting technologies on the horizon to drive photography forward. 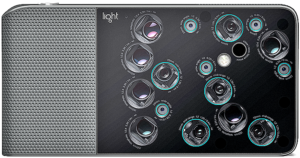 At the time of writing, Light is proposing a multi-lens camera—the L16—which uses 16 separate lenses and 16 individual sensors in a “giant smartphone” style device to create a single high-resolution image. As with Lytro’s intriguing “light field” cameras, the focal plane and depth of field can be adjusted after the shot has been taken, providing photographers with an entirely new way of creating images. Sure, early sample images from both these technologies don’t look great alongside the latest DSLRs or CSCs, but neither do the images from the flagship cameras we lusted after a decade ago. Compare shots from a $5,000 Nikon D1 to a $450 Nikon D3200 and that entry-level camera will blow its pro-spec forefather out of the water: the bottom line is new technology always needs to mature. At the same time, digital video is entering the world of “8K,” with cameras offering images in the region of 8000 x 4000 pixels—that’s 32 megapixels to you and me. As 4K video is increasingly seen as “standard” in many still cameras, it’s only a matter of time before higher resolution follows. And with it we’ll perhaps see another new way of shooting: rather than a “decisive moment,” we’ll be able to shoot every moment in glorious super- high definition, and then pick that perfect frame. Panasonic already offers this with some of its 4K-enabled cameras. The Panono produces exquisite 360-degree images. Cameras that shoot and stitch 360-degree views are also becoming more prevalent. 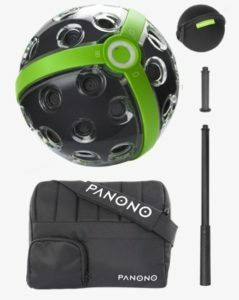 Many are in the guise of “action cams,” but others are larger and capable of delivering a higher-resolution image—the Panono 360 will give you a whopping 108 megapixel image from its 36 combined cameras. So before long we may well be able to shoot not only every moment, but also every angle, giving us a real-time, all-encompassing view of the world around us. Of course, we’ll still need to get our camera in position to start with, but it’s not difficult to envisage drones becoming the airborne “tripods” of the 21st Century. However, just as the technology of tomorrow will bring us ways of using photography that we can’t quite comprehend right now, so there’s every possibility that film will experience something of a renaissance too. There are already generations of photographers who haven’t experienced film photography in any form, and within that group there are signs of an awaking interest in a more “hands on,” physical form of photography in an increasingly automated digital world. And why not? After all, photography is photography, no matter what technology you use. Taken with the Light L16. The company says the camera has extreme sensitivity to low light and a resolution of up to 52 Megapixels. © Light. Above all, though, we need to remember that this is meant to be fun. No matter what the future brings, try not to worry too much about getting things “right” and “wrong,” or whether your camera is infinitesimally sharper or has marginally more pixels than your neighbor’s: it really doesn’t matter. What’s more important is that you get out there with the kit you’ve got, and shoot. Like all those pioneers, both past and present, the only way that photography will move forward in any guise is if people take pictures. This excerpt from Complete Photography by Chris Gatcum © 2017, has been reprinted by permission of the publisher, ilex Press, a division of Octopus Publishing Group, Inc. The 400-page book is currently available from Amazon and other booksellers. Chris is a professional photographer, journalist, book editor and best-selling author who has been involved in photography for more than 20 years. The book draws on his own knowledge and that of other professionals and is aimed at beginning and intermediate photographers. Check out Chris’s website here. Note: The Blog has added images to this article that are not in the book. To subscribe to Red River Paper’s newsletter, click here. Please share your comments with us below. In the field of photography, I love all types of photography especially nature photography. I’ve used many types of lenses, new and old. All have their different visions and all are beautiful. Always expected Lytro technology to get into smartphones at some point… Apple? In the field of FINE ART photography there will always be a decisive moment. Also the point, that what technique we use, comes from the visual way we chose to create the image and information conveyed. 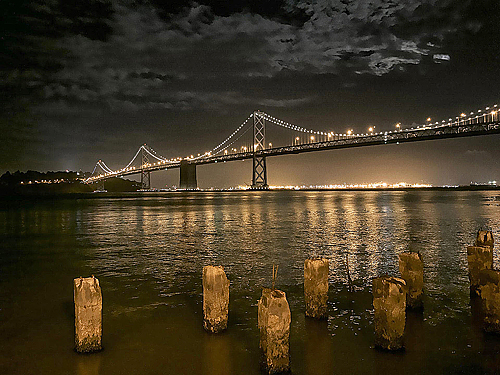 The combination of technique and artistic approach we chose to represent or present subject matter, is a major factor in fine art photography. The attitude of shoot everything every-way is a non-committal approach better suited to snapshots then fine art photography.